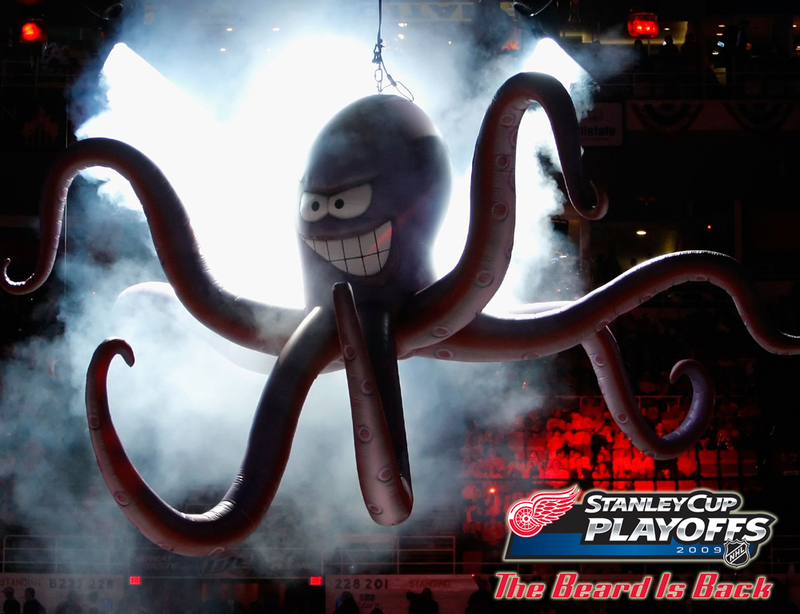 The last few years, we’ve made predictions for all the playoff rounds based on the branding of that team, and since it’s that awesome time of the year where the playoffs have arrived and fans of the 16 remaining teams actually want to go through 2 months of stress and nail-biting rather than not, we’ll do it again. 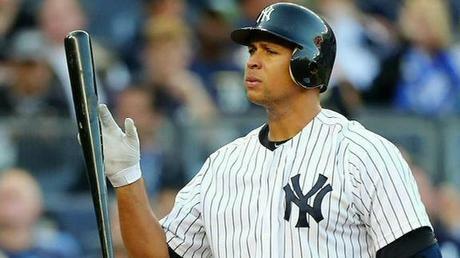 In 2014, these HbD predictions went 9-for-15. 2013, 10-for-15. 2012, well, 5-for-15. Still, not bad overall. So how does it work? We’ll compare the overall branding of each series and see how they match-up. This includes the logos, alternate logos, jerseys, historical logos and jerseys, general legacy and everything else that builds a team’s brand. First, let’s just say that this ranking was much more difficult that last years. All the match-ups are looking pretty slick together, with tons of variety. 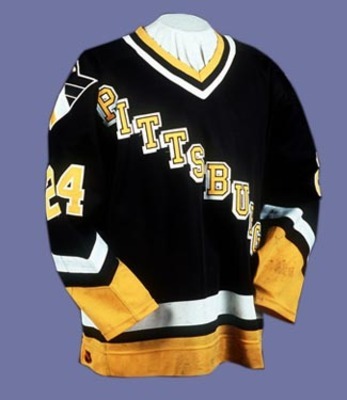 In fact, one of only two black jersey in the playoffs belongs to the Penguins, which knocks it down to the bottom, despite the awesome Vegas gold and the legendary Blueshirt jerseys. What’s wrong with black? 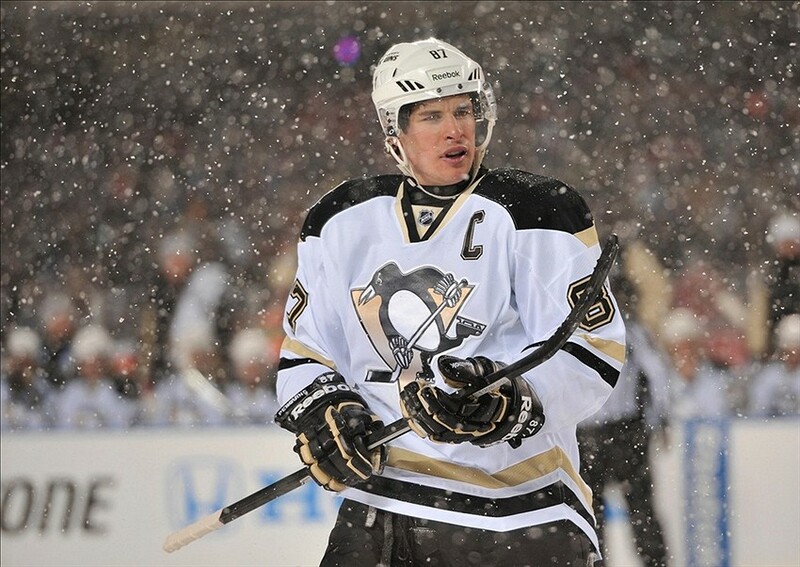 In Pittsburgh, the games will be predominantly white versus black, making for a boring aesthetic on the white ice. 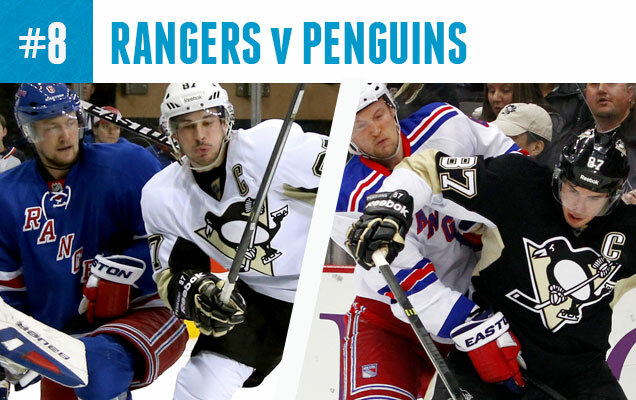 The games in Madison Square Garden, however, will be lovely. There was generally a lot of disagreement about ranking the Penguins logo at #6, but I’m obviously still a huge fan of it. It’s the best logo they’ve had in their history, ahead of the yellow (not gold) penguin of the ’70s – ’90s, the corporate-looking winged penguin of the ’90s, the older penguin within the thick band of text, and the original penguin who looks like he’s going to join Bonhomme at Quebec’s Winter Carnaval. 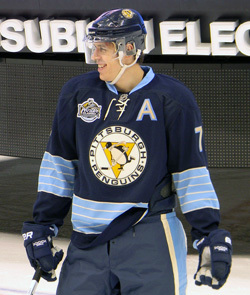 But the Pens do get points for a fantastic Winter Classic jersey (but also get points taken away for a not-so-fantastic one), and a tremendous Stadium Series jersey. 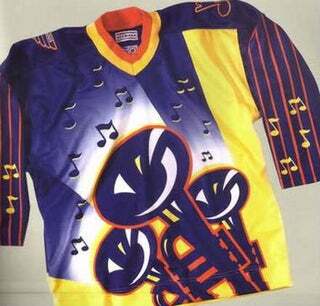 They’ve also been very innovative (but maddeningly inconsistent) in their jersey designs. 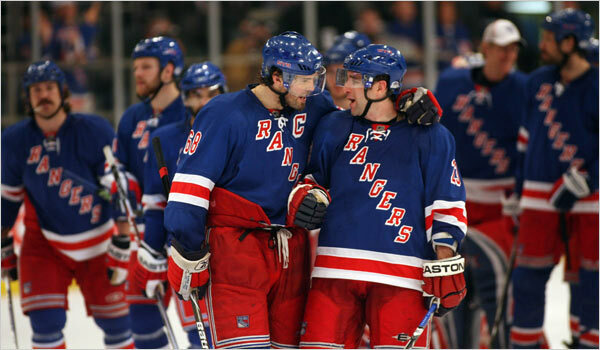 The Rangers, on the other hand, were ranked as having the 12th best logo in the league. The Rangers have a history of a solid logo concept since the 1920s and nobody in the league save the Canadiens can match the uniqueness and iconic nature of the Rangers’ home jerseys that have stood the test of time. Often imitated, never duplicated. Their alternate logo is just okay, but not enough to take away from the brand overall, and their jersey for the 2012 Winter Classic more than compensates. Although the Rangers haven’t enjoyed the legacy and history of on-ice success that most of the Original Six teams have had, the Blueshirts are not a brand to be messed with. I wanted to rank this one a little higher, but the best part of this match-up are the complimentary colours: blue versus orange. There’s a lot of potential for greatness here, if not for a couple things. The Jets’ navy blue is just too dark and reads almost as black. 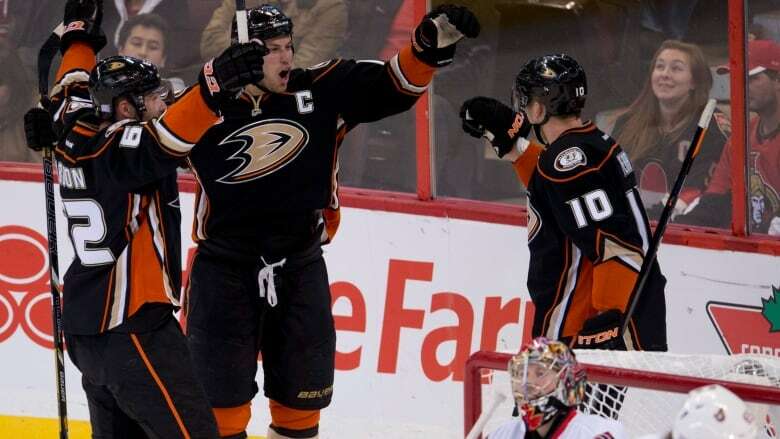 And the Ducks have – with the Penguins – the only black jerseys left in the playoffs. 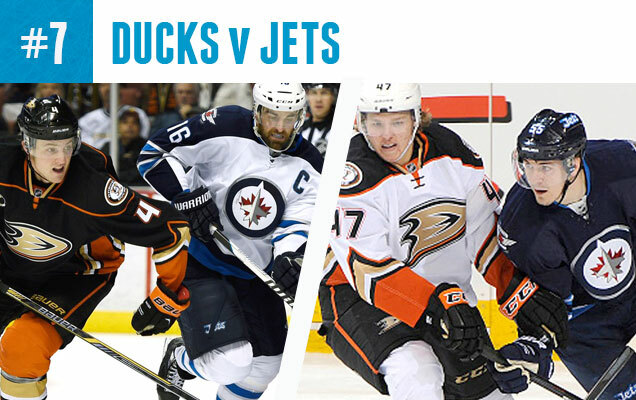 The beautiful blue trim on the Jets’ jerseys against the orange trim on the Ducks almost makes up for it, but it’s just there’s so many other great match-ups happening this year to bump it up any higher. 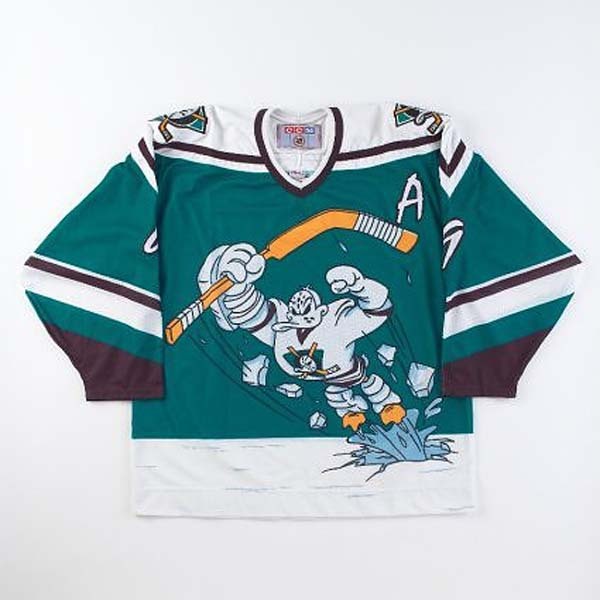 Well, the Ducks were ranked 30th overall, dead last, for their logo originally, but since then, they’ve improved it simply by changing it only to the webbed-D, which makes a lot more sense in terms of how it looks and fits on a jersey. But, it’s still not a great logo, and they also have an inexcusable past, from corporate schlepping for a bad Disney franchise and what could be the most horrendous professional hockey jersey to be worn during a game. 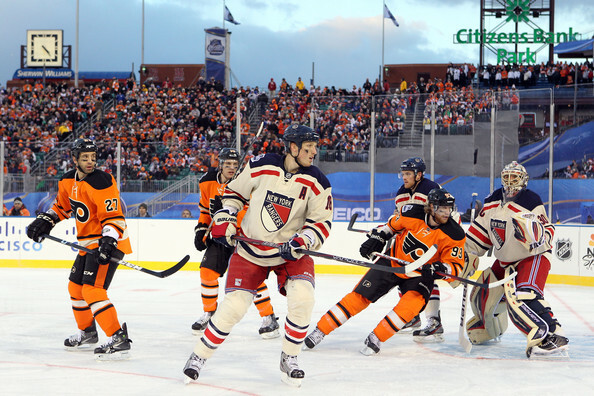 Things haven’t improved that much though, with a truly horrible Stadium Series jersey and an overly-striped and complex home and road jersey. And orange and beige together? Caman! The whole visual brand could use a re-thinking. For the Jets, I guess it depends if we want to bring the horrible train-wreck-of-design-that-was-the-Atlanta-Thrashers into the equation, featuring some of the worst jerseys in recent memory to be worn in the league. If we don’t include the Thrashers, then we’ve got a solid foundation to work from, with a solid (if not overly interesting) two-toned blue jersey design and a solid (if not overly interesting) logo. There’s not much to dislike, but nothing to get excited about (yet) from a branding perspective. Good thing they’re playing the Ducks. The iconic Habs jerseys are ranked this low predominantly because it’s going to be red versus white in every game, so as great as the jerseys are, it’s not going to be very diverse from an aesthetic perspective. And it’s not like the Sens have the best jersey/logo set either, so they’re not in any position to bump them up the rankings with their own design. The Habs? The best logo for a Canadian team in the NHL (and 5th overall). The most iconic hockey sweater in existence that has endured for almost 100 years now. The “bleu, blanc et rouge” is on par with the Yankee pinstripes and has been celebrated in book and film. It is the one jersey/logo/brand that will never change because of how iconic it has become. And it plays in the birthplace of hockey. Oh, and there’s 24 banners hanging in the rafters in Montreal that attest to a small amount of success as well, which is always important to a brand’s perception. Meanwhile, Ottawa has what I previously called a borderline minor-league logo, the worst logo in the league for a Canadian team, which is still an improvement over their incredibly flat and oddly shaped original logo, which is also an improvement over the typographic disaster that was the logo created for the expansion team in 1991 but never used. Their jerseys have never really been excellent either. They gain points for bringing in their fantastic historic “O” logo and jerseys recently, but not enough to even come close to taking down the Habs. 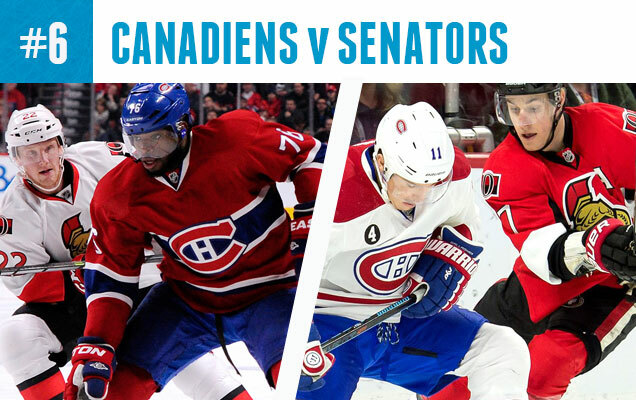 This is the first of a few classic red-versus-blue match-ups in this year’s playoffs. 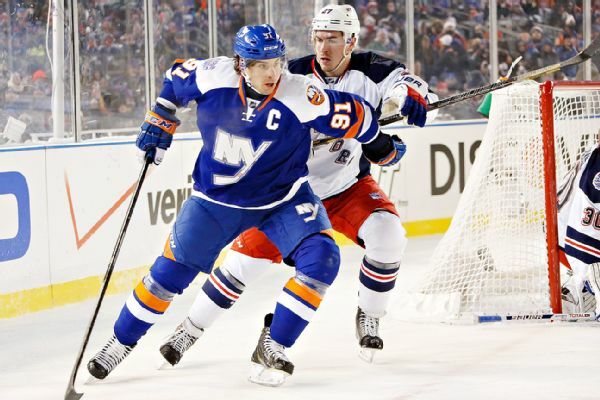 The Islanders have gone back to their simple, bold and iconic blue/orange jerseys in recent history – a great choice. 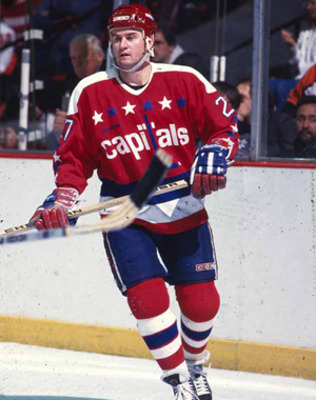 The Capitals have their oddly striped home and away set, and regularly bring in their vintage ’80s jerseys. Their both solid jerseys, but only get #5 on the list because, well, there’s just better combos ahead of them. 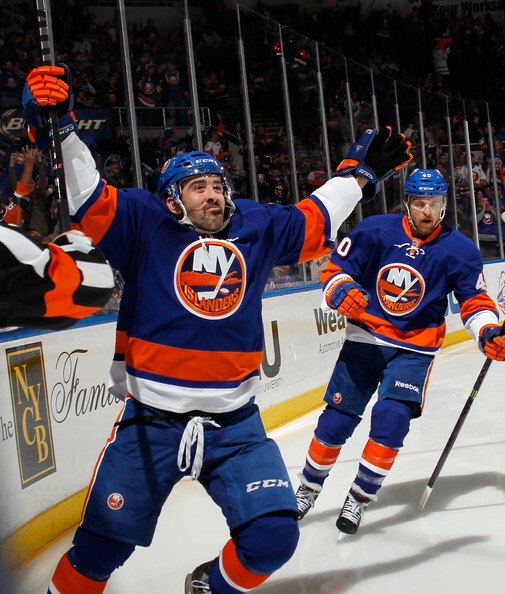 If nothing else, enjoy the last games to happen at Nassau Coliseum, with it’s weird high-contrast lighting that creates stunning photographs. The Caps have never had what could be considered a great logo, and they were ranked #24 in the league. It’s a typographical oddity now, and it was the same with the original it’s based on. The logos in-between weren’t much better. 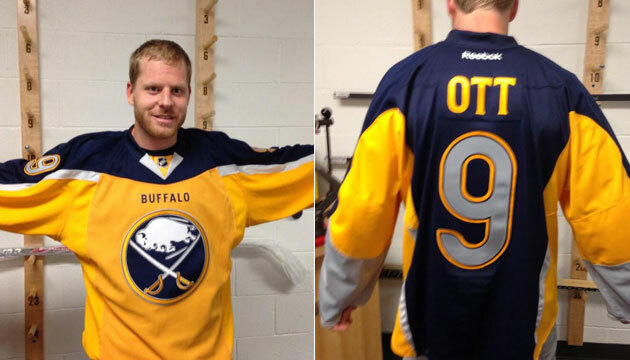 Their current jerseys are the best they’ve ever had, but that bar isn’t necessarily set very high either. Where they got tons of points though, is with the Weagle, their alternative logo – a classy and well-executed design – and their 2015 Winter Classic jersey. That thing is just stunning, works on so many levels and worth drooling all over. 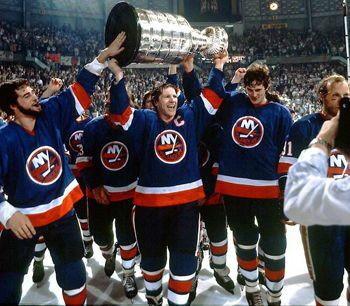 As for the Islanders, their visual branding history has been, well, spotty. The original/current logos and jerseys are great. Everything in-between? An unmitigated disaster. From Captain Fish Sticks to sea-sick numbers to horrible third jerseys to Alexei Yashin, they’ve finally righted the ship again. As mentioned, their current look is solid and has a legacy of success. Sure, their logo is kind of strange and wasn’t ranked that high, but it’s still iconic and represents the last time a team in North American professional sports won four championships in a row. And their current third jerseys (aka Stadium Series jersey), although not as nice as their regular ones, are well-designed and feature an iconic alternate logo. 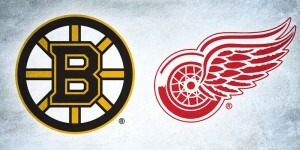 So, with these two teams, it’s a pretty close match-up, brand-wise. 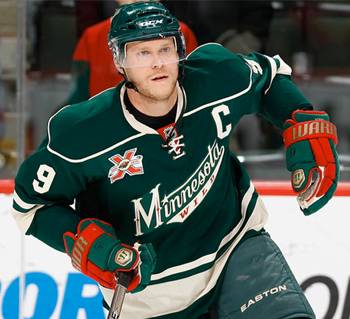 Both teams have upped their visual games recently, with the Wild introducing some truly fantastic road jerseys and having a truly great alternate jersey (as shown in the image above). 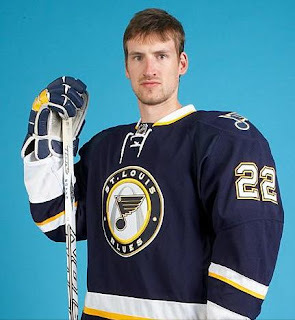 The Blues, on the other hand, have finally figured out how to bridge the jersey history with a modern design and created one of the best home-road jersey sets in the league. 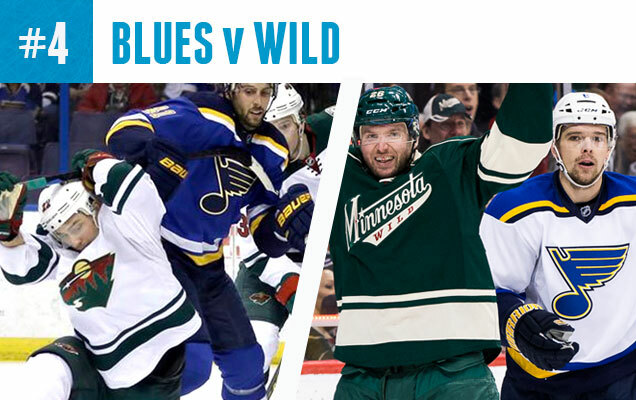 It’s not your classic red versus blue that generally dominates the league, but there definitely won’t be a shortage of colour on the ice with either of these teams either, with blue, yellow, green and red all getting some play. This could be especially true depending on what home jerseys the Wild decide to wear, whether it’s the ones pictured here, or their red ones. The only bad thing, Minnesota’s green is just a tad too dark. 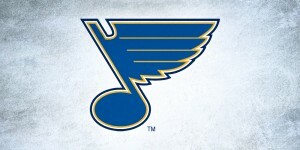 St. Louis’ logo is one of the best in the game, but up until their current logo and jersey design, the Blues have been kind of a nightmare. 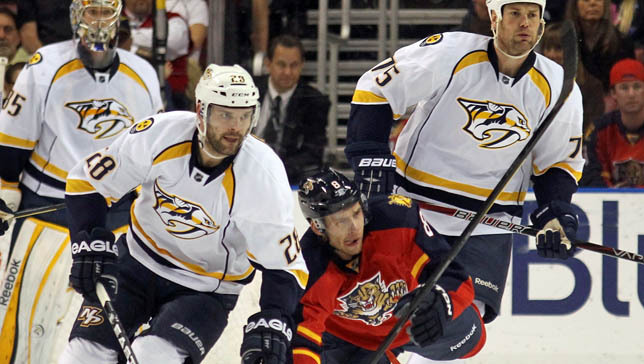 The previous logo was too rounded and hokey-looking (that’s hokey, not hockey) with a mishmash of colour similar to the Florida Panthers (blue, yellow and red), an Arial “St.Louis” in the logo that’s pretty much unreadable on a jersey, and then a huge double-outlined “Blues” on their logo from before that (and still with the “St. Louis” on it, making it ever harder to read). 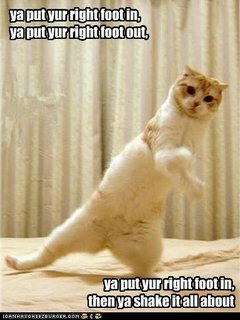 But, the concept has been there from the beginning and has been tinkered with but never changed. Also a bonus is that their current third jerseys are among the best in the league, and their regular jersey set is incredibly great this year. 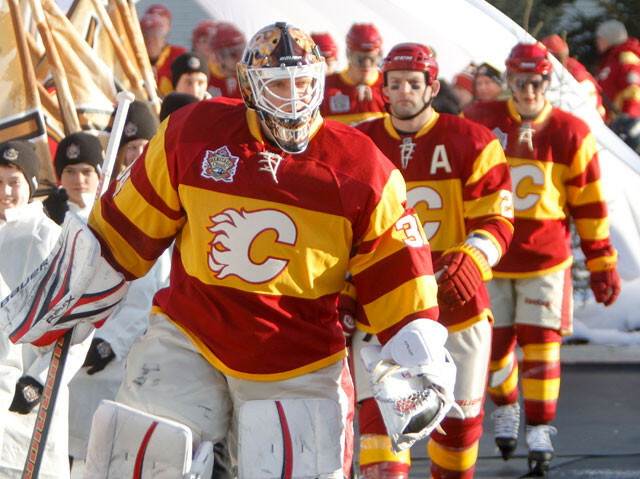 But this monstrosity that they almost wore if not for Mike Keenan (thankfully) never allowing them to wear is absolutely unforgivable. That cost them a game right there. As for Minnesota, they have what’s the best logo out of all the expansion teams and logo redesigns that emerged during the ’90s, but that’s not setting the bar very high and only gets you ranked at #16. 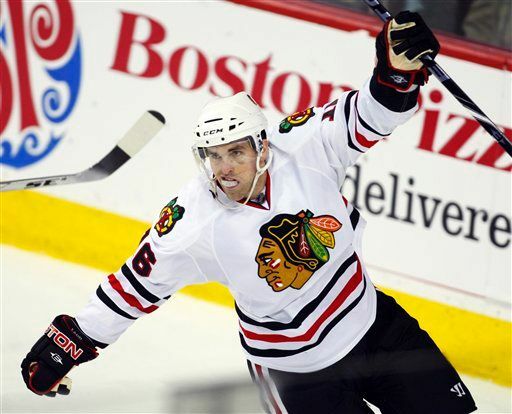 But, they have maintained a very consistent brand, with no logo changes and very minimal jersey changes since their inception, as well as introducing some pretty sweet third jerseys. I’m not crazy about the Christmas-themed jerseys, and they’re moving away from being branded as the mind-numbingly boring team from the Lemaire years. 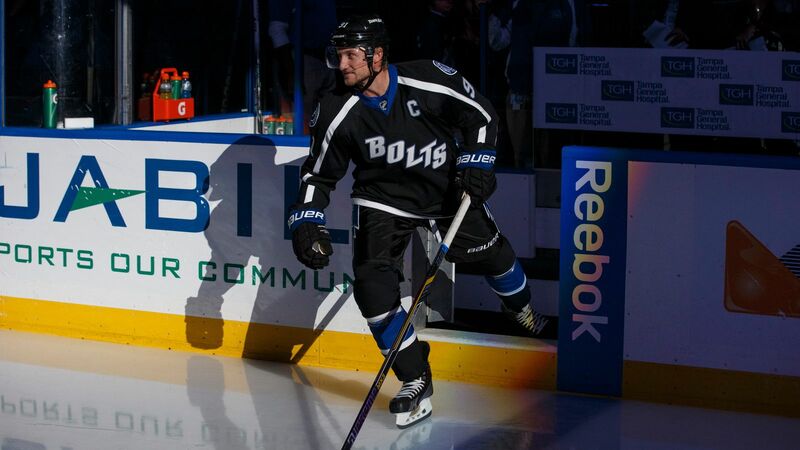 And they have awesome new road jerseys, the best thing to come out of hockey design in 2013. So, again, it’s a close match-up. Another classic blue versus red matchup, but with some yellow and green thrown in for good measure. 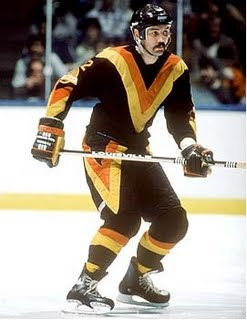 I’ve said it before, but Vancouver has one of the best home-road jersey sets in the league, with the perfect amount of green trim to compliment a beautiful shade of royal blue. 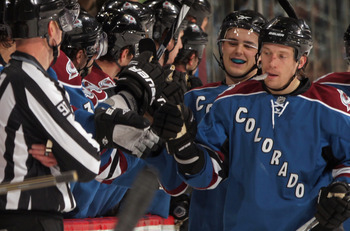 They look good whenever they play, including when they wear those awesome Millionaires jerseys. When playing Calgary, the combination of red and yellow gives the faint impression of orange, the complimentary colour to blue. So, you’ve got the fiery red/yellow against the calming blue/green. It will be fantastic to watch. 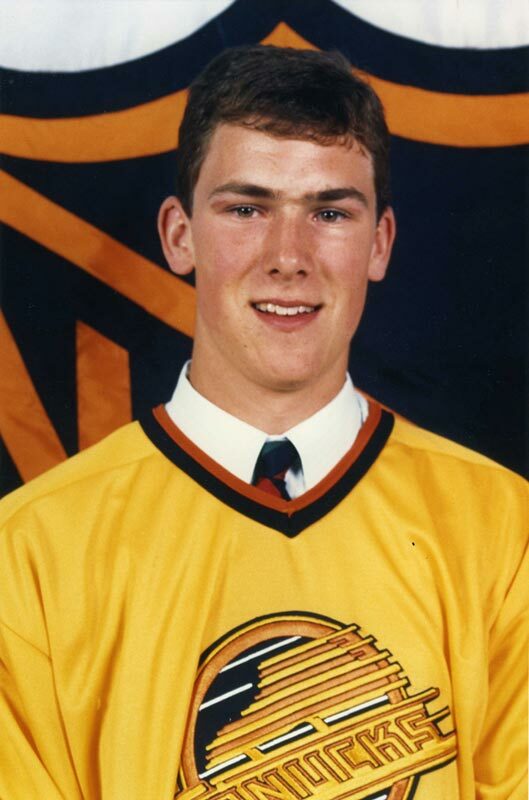 Regular readers of the blog know that I’m a big Canucks fan, but I’d be the first to admit that they’ve had a spotty past in terms of logos and jerseys, and regular rebrands every 10 years or so doesn’t speak to having any confidence in your visual identity. They’ve had jerseys that have pretty much been universally reviled. 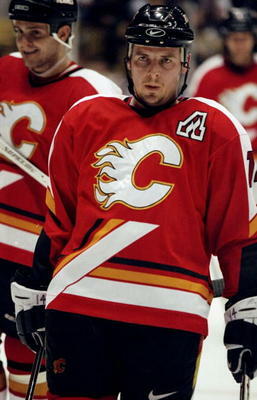 And a putrid home jersey that looked ten times better when they finally switched to white. That being said, the Canucks’s logo was ranked at #10 and Vancouver seems to be more on the right track, going back to their original blue and green colour scheme and adjusting the colours on a decent logo to match. Their Johnny Canuck alternate logo is pretty good for an alternate logo, their heritage alternate logo is solid and my gut says this current brand will stick for a while. Oh, and that Millionaires jersey? So much awesome. But yes, the 40 years prior were a mess. 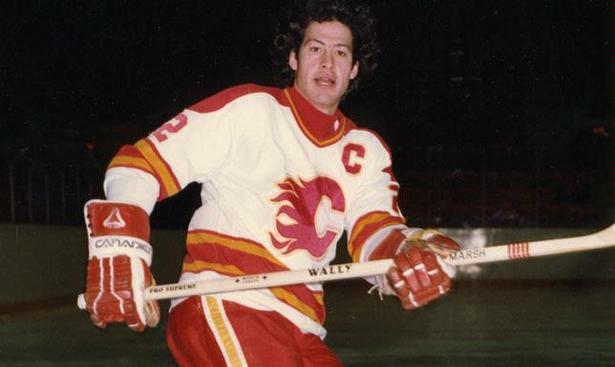 As for the Flames, their logo is ranked almost as high as the Canucks (and they could have easily switched places to be honest), and unlike the Canucks, they’ve been incredibly consistent, using the same logo and colour scheme since moving from Atlanta in 1980. 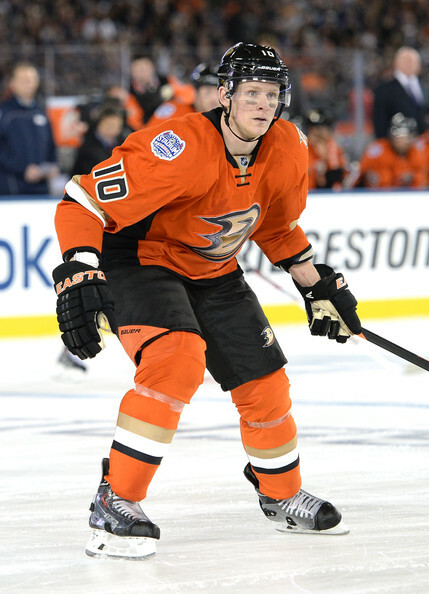 That said, their current jerseys are a bit of a mess, with inconsistent and overly complex striping everywhere, and they’ve had some pretty bad jersey designs and alternative logos in the past, as well as a mediocre current third jersey. But again, the branding – even with all the changes and tweaks – has been incredibly consistent, which only helps a brand that has a good foundation to start with. 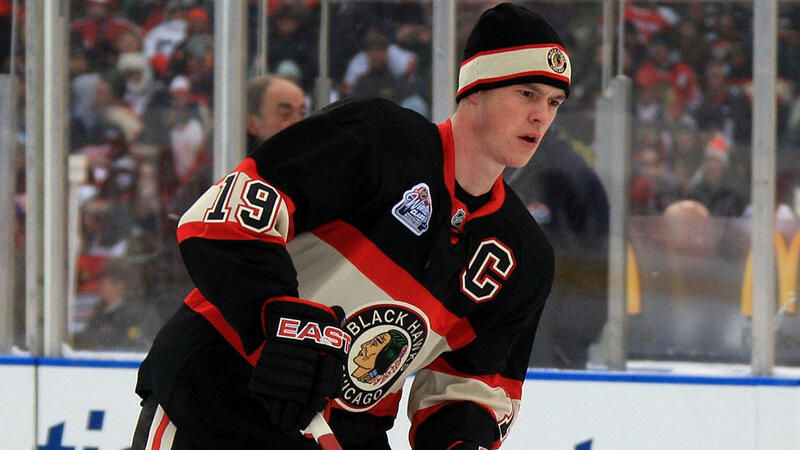 Oh, and I love those Heritage Classic jerseys too. The beauty of this match-up is having the best historical jersey sets in the league (Chicago) against one of the best modern jersey sets in the league. 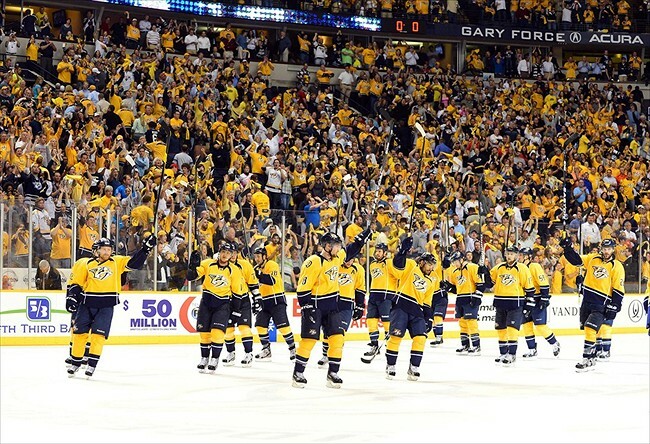 Say what you want about the mustard yellow, but the Preds own it like nobody else, and currently have the only yellow jersey in the league (and yes, I’m denying the existence of that awful Sabres’ turd burger, which thankfully will disappear now that the Sabres’ season is over). Visually, it’s a more unique match-up as well, with yellow/blue against red/black. Excellent classic design versus excellent modern design. 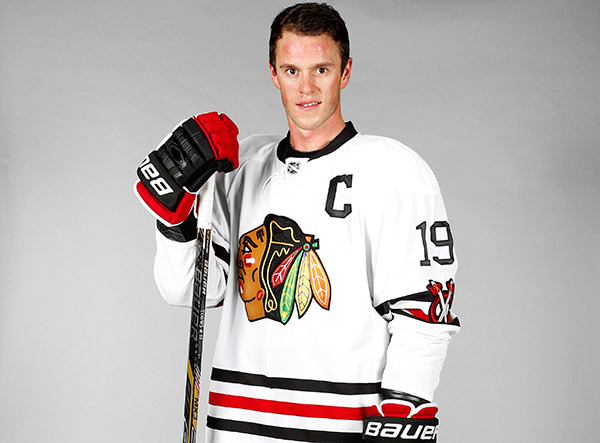 The Blackhawks’ logo ranks at #7 in the league, which is very decent, but they also have one of the absolute best jerseys in the league, both home and away. 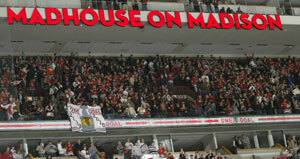 They have history (as the logo hasn’t changed at all since 1964, and the same concept since their inception in 1926), the Madhouse on Madison, a passionate fanbase, overall high-quality design, and a good Winter Classic jersey addition (although their recent one was a disappointment). 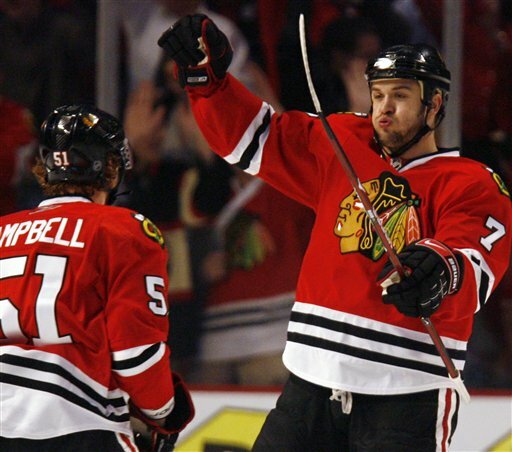 They had a tough go of it through the ’90s and early ’00s, with bad ownership and lack of a on-ice quality product, but they’ve turned that all around on the backs of Toews and Kane, and from a branding perspective, they’re a beast. They’ve been consistent, and consistently excellent. 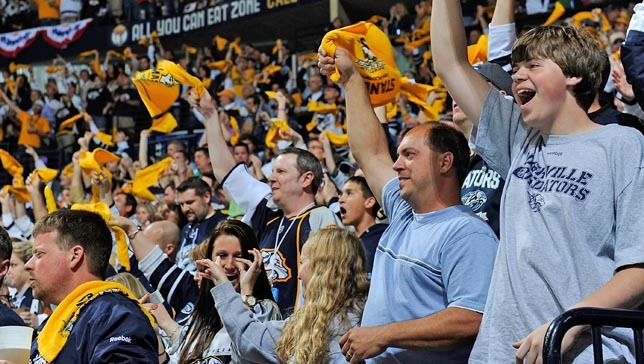 For the Preds, I’m not overly crazy about their logo, coming in at #18, and they had some design missteps (primarily their former alternative logos – checkerboard…really? – and third jerseys), but the fact they’ve made a solid go of it in a very non-traditional hockey market, have a solid fan base and develop a true of identity of continually better than the sum of their parts is completely impressive. And as mentioned, their current jerseys are solid and a good improvement over the original and I’m bullish on their alternate logo. And their fans have latched onto the mustard yellow and own it. Much like orange in Philadelphia, and red in Detroit. 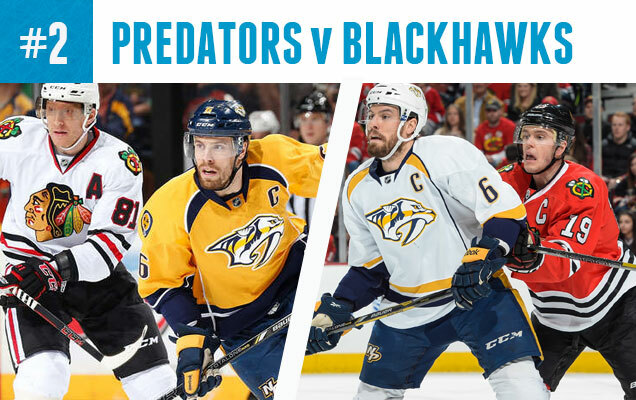 They put up a good fight, but still, they’re facing the Blackhawks. 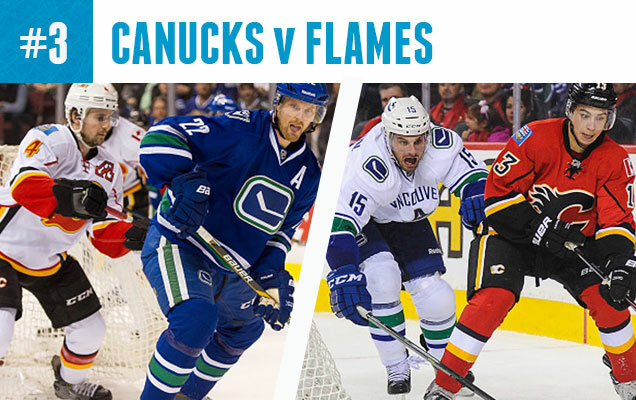 It’s tough to compete with a classic red versus blue match-up in the NHL. Some of the most iconic and stories rivalries in hockey have been this way: Habs vs Leafs, Leafs vs Red Wings, Blackhawks vs Rangers, Habs vs Nordiques, etc. 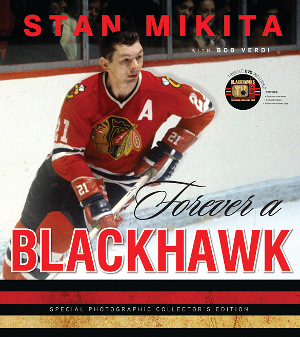 It’s got a long history of entertaining hockey and visually, nothing else compares. 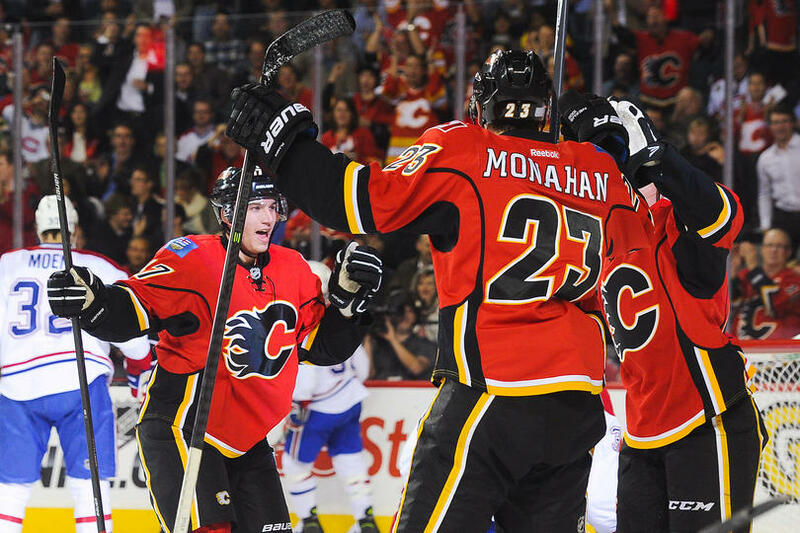 And both these teams embrace a single colour scheme. 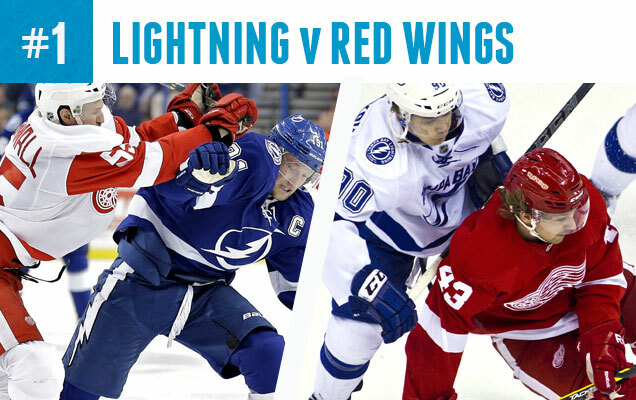 Tampa only has blue, Detroit only red. Simple, iconic, stunning. It’s going to be beautiful to watch these two teams battle. But seriously, this one isn’t even close. Tampa Bay may have righted their branding ship recently, but it’s still not completely steady, particularly the overly-simplified and corporate-looking logo. And those new third jerseys are pretty inexcusable considering the superiority of their regular jerseys, and their previous third jerseys aren’t much better. And if we start diving back too far into the past, hoo boy. And their past logos have offered some pretty horrendous and illegible typography. 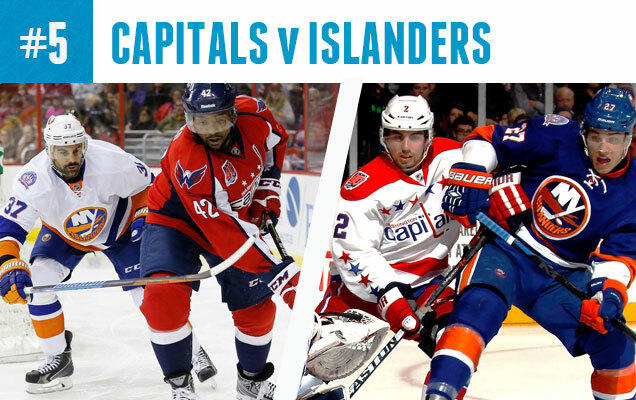 Sure, they’ve had some on-ice success, and for a southern-US team, they’ve have a tremendous fanbase and community support, but have you seen who they’re playing? 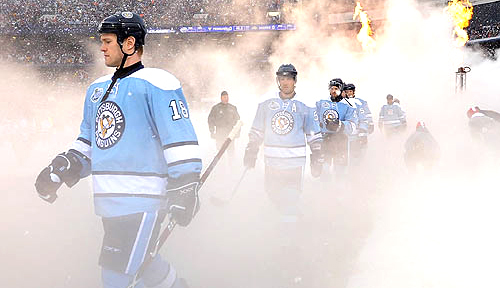 They’re playing Detroit, who has history, a passionate fanbase, high-quality overall design, and despite a mediocre inclusion of a Winter Classic jersey, they had a better version for their second Winter Classic. On top of that, they’ve had over 20 years of consistent excellence on the ice and have some of the most respected, classy and feared players in the game. Oh, and octopi. 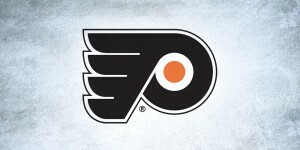 And guess who has the best logo in the league? 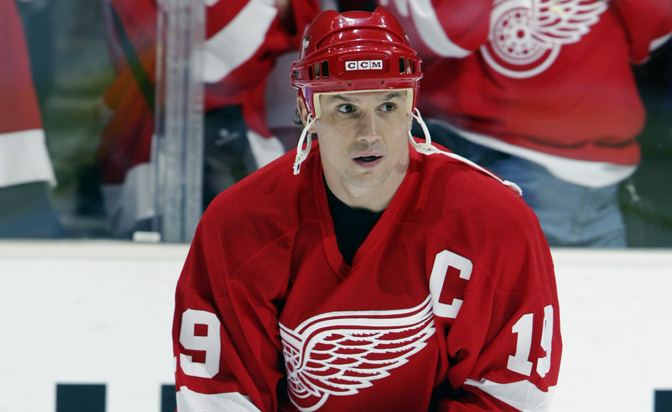 The Red Wings have never deviated from an excellent and iconic brand. So yeah. Check back for Round 2 in a couple weeks!